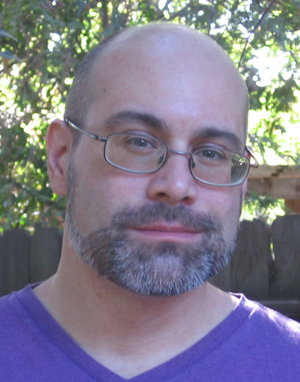 Today we feature author-illustrator Jed Alexander in both an interview and a guest article on self-publishing. Indie publishing once got a bad rap, but now the landscape has changed tremendously. Be sure to check out his upcoming course, How to Self- or Indie- Publish with Crowdfunding starting March 23, with Mira Reisberg. The course covers print, e-books, crowdfunding, marketing, social media, and much more. They will do a FREE webinar on Friday, March 13, 5:30 p.m. PST, The New Publisher Paradigm: Getting Published with Small, Indie, Self, and e-Publishing. Or at least, this has been something the publishing industry has been insisting for decades. But they've also been telling us that the industry is changing. Because of e-books and Amazon and the shrinking brick and mortar bookstore market, the internet has changed the way we buy and sell books. And publishers, more than ever, are relying on authors to promote their own books. If a publisher is interested in your book, they also want to know how many Twitter followers you have. They're relying on authors to arrange their own book signings and school visits. To pay for their own book trailers, and PR firms. Because publishers simply aren't doing what they used to do. Unless you are a big name, or THE book that they are going to promote, they want you to be the one to sell your book. But what happens if you have a book published with a major publisher and it doesn't sell? If after all your attempts to sell your book, and all your investment, it doesn't do what the publisher wanted it to do? If after that first year of publication they decide your book isn't successful, they're not going to give it any more of their attention. Often, they would rather pulp a book they don't think is selling, than warehouse it, which means thousands and thousands of books are destroyed every year because a publisher had determined that those books wouldn't sell after just a few months of consideration. So if you're going to put in all that effort to promote your book, why shouldn't it truly be your book? And if you crowdfund your book, you're getting a head start that most self-publishers don't have. Before it's even printed, you're already building an audience and learning how to use all the tools you'll need to promote your book, no matter who the publisher is. No matter who publishes it, it's the same process. You have to make the same investment in self promotion if you want your book to sell. But in this case, you're the publisher, and you're going to be the sole beneficiary of that effort. And we're learning, more and more, that self-published books do sell, and in increasing numbers. We know that authors like Amanda Hocking, whose career in YA fiction began and continues to thrive in the self-publishing market, has been hugely successful without the support of a major publisher. We know of authors like Jennifer Fosberry, whose book MY NAME IS ISABELLA became so successful it was eventually picked up by Sourcebook's imprint, Jaberwocky after a successful Kickstarter campaign. We know that the rules are changing, and these changes are happening fast. Kickstarter, the premiere crowdfunding site, has only been around for about 5 years, but the crowdfunding model has already revolutionized self-publishing and the publishing field as a whole. So are you going to continue to believe the same old voices from the same old publishers that have been saying the same thing for decades, that self-published books don't sell? Or are you going to be a part of the growing revolution of self-publishers who know that that's not true, and that the publishing industry is never going to be the same as it once was? Because no one is going to believe in your book more than you. Very inspiring, Jed! And now, on to the interview…. Tell us about your background and how you came to write & illustrate for kids. I grew up in a small town in Pennsylvania and loved the little library there. It was this really old stone building. Those are my first memories of books. And the smells! I love the smell of decomposing paper! I had always loved books with pictures, both picture books and comic books. I remember when I moved to California with my mother when I was 9, my grandmother asked if I wanted her to sell all my old picture books at a yard sale. She said I'd get to keep the money. Stupid me, I wanted the money! I've regretted the decision ever since. So here I am, still trying to hunt down all those old books. There's still a Walter Crane fairytale book I'd kill for! But more importantly, here I am, making my own books and telling my own stories. Making pictures has always been in aid of telling stories for me. After I graduated from the San Jose State illustration program, I did some indy comics. I did some editorial illustration, but wasn't very good at it. So about 7 years ago I started to get serious about entering the children's book field, which was really where my heart was. It took me a year to put together my first portfolio. The next year I won Best in Show at the North/Central California Spring Spirit SCBWI conference. Less than a year later, I got my first job for Cricket. Two years after that I met my agent, Abigail Samoun at Red Fox Literary, and the rest is history. And I couldn't have done any of this without my amazing wife Regina, my best friend and favorite person in the world! Tell us about (MOSTLY) WORDLESS and how you came to publish it. 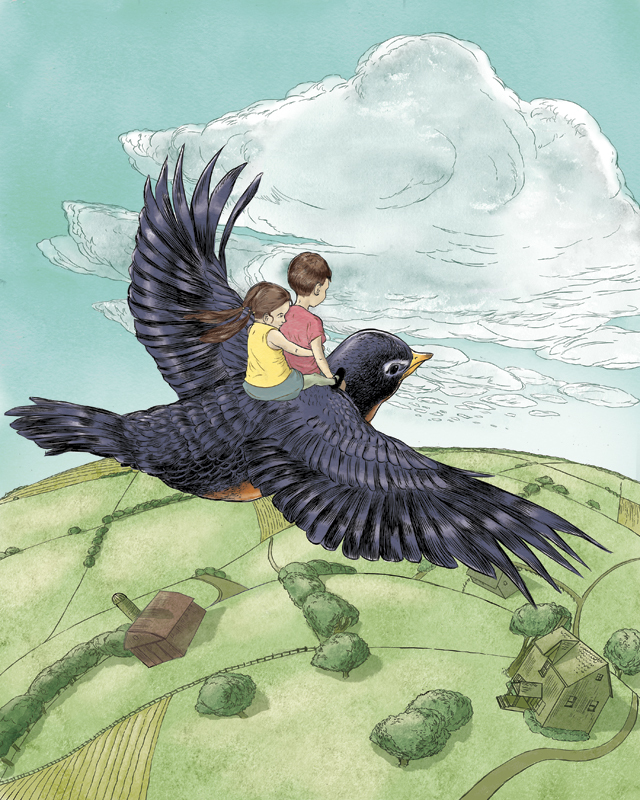 (MOSTLY) WORDLESS started out as a handmade book, a wordless story called ELLA AND THE PIRATES that I did as a self-promotional premium to send out to publishers. I really loved the whole process of making a book from scratch like that. All the sewing and gluing and trimming. I'd done a lot of other short pieces over the years that I'd sent out as postcards to editors and art directors, and so I started to think seriously about doing something with all this stuff. It was work that no one was seeing, and it was good work. I had a number of friends who had done successful crowdfunding campaigns, and I decided that this might be a good route for me. I researched for almost a year before I took the plunge. I couldn't have been more happy with the result. I raised well in excess of what I set out to. The book has gotten great reviews. Marc Arsenault picked it up and is sub-distributing it under his publishing label, Alternative Comics, which has been great, because it's really getting out there. And all the people I've met and all the support I've gotten. It's been wonderful! And now I have this book. This great looking book that's everything I wanted it to be. You and Mira Reisberg will be giving a course on self-publishing and crowd funding. Without giving away too much of the course, what were the one or two biggest surprises you found in the process of self publishing your book? It's a lot of work! More work than I had thought. And while it's been more than worth it, there was a big learning curve. I had to learn how to get the book ready for the printer, and how to get people to care about my book on social media when there's so much on social media competing for their attention. And that's all stuff we're going to teach you how to do in the course. But I also learned that self-published books do matter. People are reading my book. My book is in libraries. It's in bookstores. And crowdfunding isn't just a way to raise money for your book, it's a way to build an audience. I've been going to all these SCBWI workshops, and like everyone else, have been trying to get the interest of publishers and editors, and I still am. But I made a book. And there were only so many years I was willing to wait for someone to say my work was worthy of publication, when I knew that it was. I was tired of waiting for permission. And having that book in my hands that I made is an amazing feeling. Knowing that every part of that book is what I wanted it to be, no compromises, no editor looking over my shoulder. Not that I haven't worked with some great editors and art directors over the years, but sometimes it's nice to make something entirely on your own terms. And that's only one of the benefits of self-publishing. And the great thing about crowdfunding is, you not only get to do it on your own terms, you don't have to foot the bill. You don't risk your own money. And again and most importantly: it's all about building an audience. People that believe in your project and support your project will continue to support your other work down the line. And you can even add the tuition of our class into your Kickstarter budget! We'll show you how to do that. What advice would you give to others who are thinking of going down the indie publishing route? If you want to make books, make books. Don't wait for someone's permission. I'm not saying you should give up on traditional publishing, but if you have a book that you really want to make and nobody is biting, make it. No one is stopping you. I'm not sure what to answer! I really like black licorice? Also Brach's Spice Jelly Beans, which are getting a lot harder to find. Jelly Bellies are not real jelly beans! That's not very interesting though. I'm boring in real life. 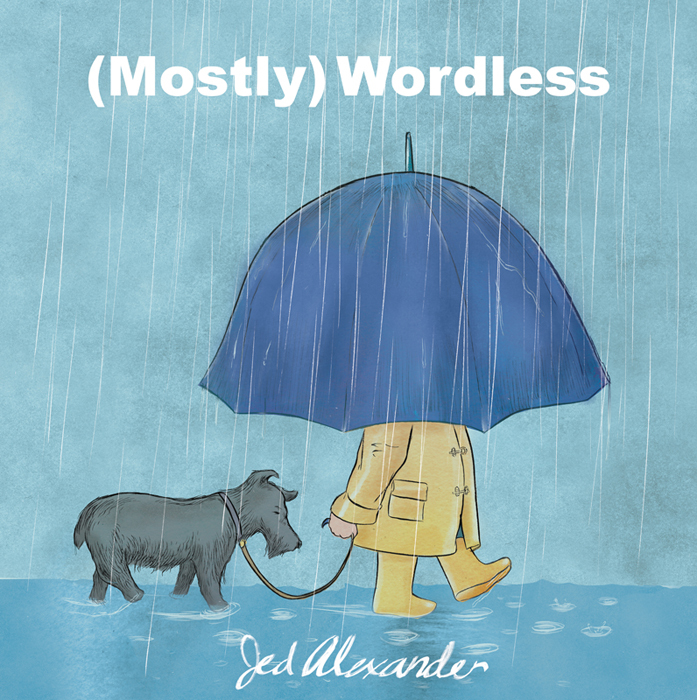 Jed Alexander is the author/illustrator of (MOSTLY) WORDLESS, which he originally self-published with crowdfunding finances and which was then picked up by a small traditional publisher. He is represented by AbigailSamoun of Red Fox Literary. Find out more about Jed at his website, http://jedalexander.com. Jed will also be co-teaching an extraordinary course on How to Self- or Indie- Publish with Crowdfunding starting March 23rd with Mira Reisberg. The course covers print, e-books, crowdfunding, marketing, social media, and much more. They will do a FREE webinar on Friday, March 13, 5:30 p.m. PST, The New Publisher Paradigm: Getting Published with Small, Indie, Self, and e-Publishing. What Jed says makes a ton of sense to me. Good for him for making his book on his own while still walking the traditional publishing route! He has the art skills to carry it off, which, I think, sets his book apart from some others out there. Hej Jed! Thanks for an inspiring article. 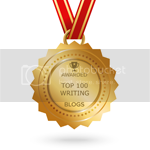 I'm gearing up to e-publish. Cheers! What's great about crowdfunding, Teresa, is that you can afford to hire a great illustrator to collaborate with without breaking the bank! 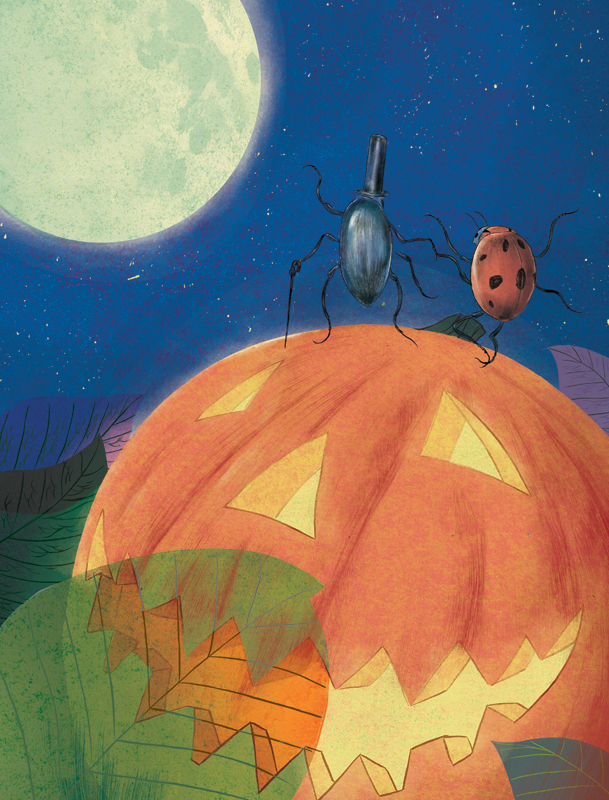 Making a picture book is a time consuming effort, and the surest way to attract a talented professional illustrator--besides the quality of your story--is if they know there's a paycheck in it that will adequately compensate them for their time. 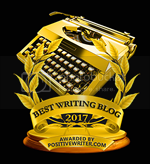 I'm approached by a lot of writers who want me to collaborate with them on spec, or without adequate compensation, and there aren't many pros who are willing to follow that path, myself included. But getting that professional collaborator to work with you to make the best book you can make becomes much more feasible with the crowdfunding model. Hi Jed! Thank you for sharing your experience in self-publishing. It's truly inspiring! Interesting post, Jed--as I'm not an illustrator, I wonder about economic feasibility. And Karen Grencik just took on one of my books so I should say "hi!" because I'm an agency mate! (I like black jelly beans, but not black licorice). Thanks Dow!I'm glad you got something out of it! Enlightening? I'll take it! And Wendy: It's doable! Particularly if you already have a small audience from getting a book or two traditionally published. Keep in mind that aside from this book, I haven't done anything but magazine work, but was still able to raise a decent sum. But yes, you can budget for an illustrator. And there are a lot of people who have done just that, particularly in the graphic novel field, which tends to be more popular on Kickstarter than picture books, but people have done it with picture books as well! Find an illustrator you like, get a quote, pay for some sample illustrations for your presentation, and include all this into your budget. The whole point of crowdfunding is to elliminate that financial burden, and if you don't make your goal ammount, you don't have the responsibility to publish. The backers aren't charged, and your no worse off than when you started! And welcome to the Red Fox fold! Thanks for being in the spotlight, Jed! Your artwork is fabulous! I am so happy to know that self-publishing is not what it used to be and that a writer and/or illustrator is not at the mercy of publishers. Whew! 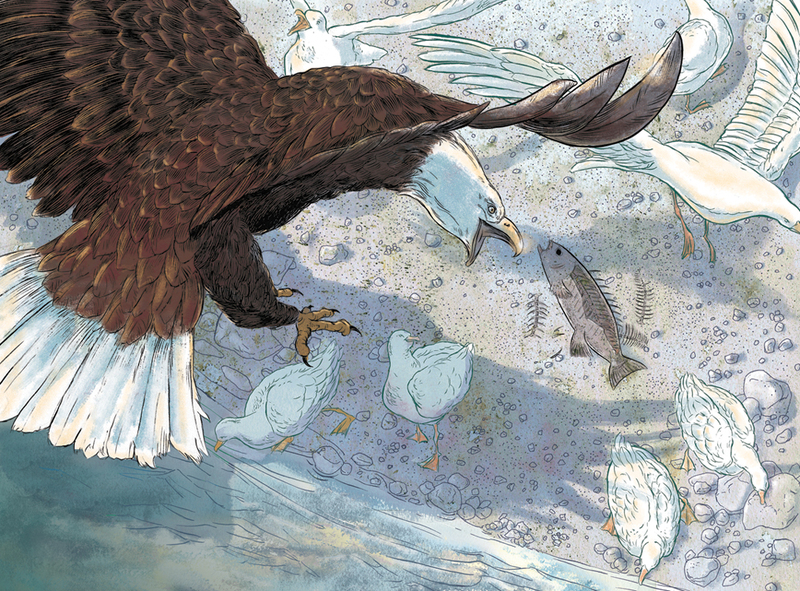 Jed, your illustrations are wonderfully fabulous!